This May has also brought another first; with a proclamation issued by Governor Christie, New Jersey celebrated its first ever statewide Walk and Bike to School Week! From May 21-25, 2012, communities throughout the state encouraged families to help celebrate New Jersey Walk and Bike to School Week by leaving the car at home and walking or bicycling with their children to school. Walk and Bike to School events emphasized the importance of increasing physical activity among children, promoted pedestrian safety, reduced traffic congestion, and concern for the environment. In Tenafly, NJ, a student named Attila Yaman started an effort called TenaBike to get more of his peers using bikes for transportation and to raise driver awareness. Yaman planned Bikefest, encouraging his fellow classmates to join him for bike ride to school on May 23rd and then parking their bikes together in the library. BikeFest proved to be a success, demonstrating an incredible bicycling presence with around forty bikes parked in the school library. Safe Routes to School Regional Coordinators at New Jersey’s eight Transportation Management Associations (TMAs) were busy planning and organizing events. At Woodbine Elementary School in Woodbine NJ, students and staff were excited to work with Cross County Connection to participate in New Jersey’s Walk and Bike to School Week by organizing their first Walking School Bus Event. On Friday, May 18 students, parent volunteers and teachers gathered together at two starting locations to walk to school, playing fun walking games and learning important safety tips along the way. Students, teachers, parents, and police officers in Newton, NJ also celebrated TransOptions Walk and Bike to School Week with a walking school bus. Participants from the Merriam Avenue School followed a walking school bus route first taking off from the Municipal Building, then winding the way to school picking up friends and classmates at “stops” along the way. At the end of the walk, each child received special prizes. With assistance and encouragement from HART Commuter Information Services, approximately 25-30 students who regularly participate in the local walking school bus in Califon, NJ were together on May 16th to celebrate New Jersey Walk and Bike to School Week. 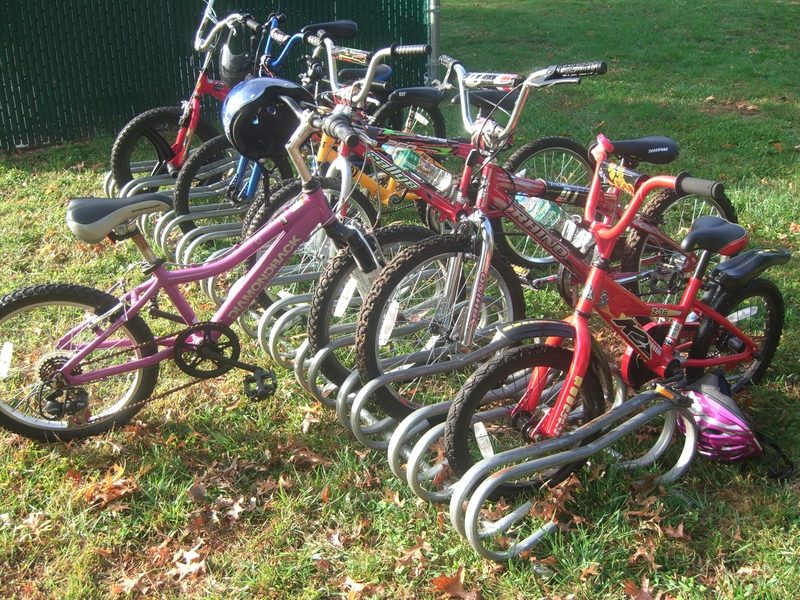 To continue the celebration, HART has also scheduled a bicycle rodeo for May 22nd to teach students in Califon the basic skills needed to handle their bikes and how to be safe cyclists. 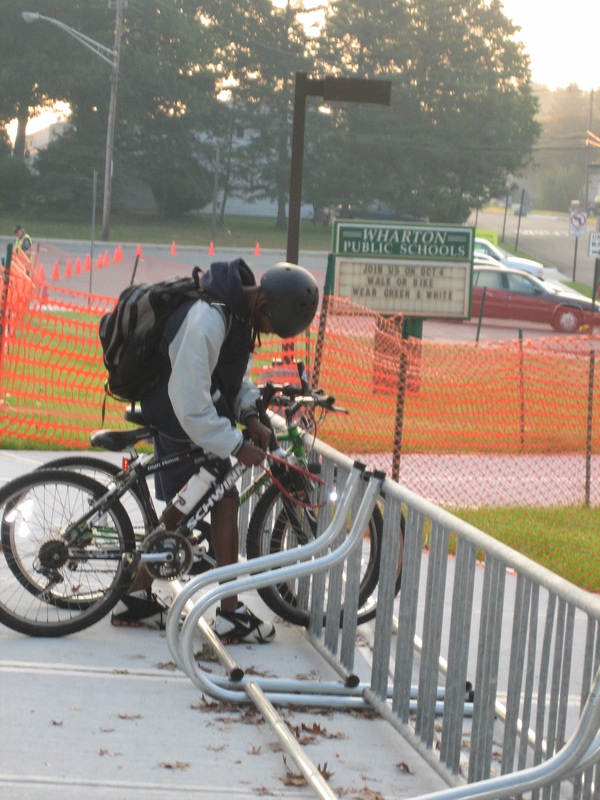 In Red Bank, NJ, Meadowlink helped the Red Bank Charter School Celebrate with a Bicycle Rodeo on May 21st. This event for 4th and 5th graders included helmet fitting, bicycle condition and maintenance checks, learning the ABC quick check, learning the correct way to lock a bike, basic safety rules and a small skills training course. These are just some examples of the great activities that have been planned throughout New Jersey. Just because Walk and Bike to School Week and Bike Month are over doesn’t mean that your community can’t hold an event or start a great new program. To learn more about Safe Routes to School programs and how your local TMA can help you, please contact your Regional Coordinator to get started!